So probably it's right that our time in Japan ends at Ryoanji, the enduring embodiment of Zen simplicity to counter Gaudí's convulsing maximalist monument of Christian torment and redemption. Fifteen homely rocks pose in raked gravel. Along one side, people sit and ponder what they mean. 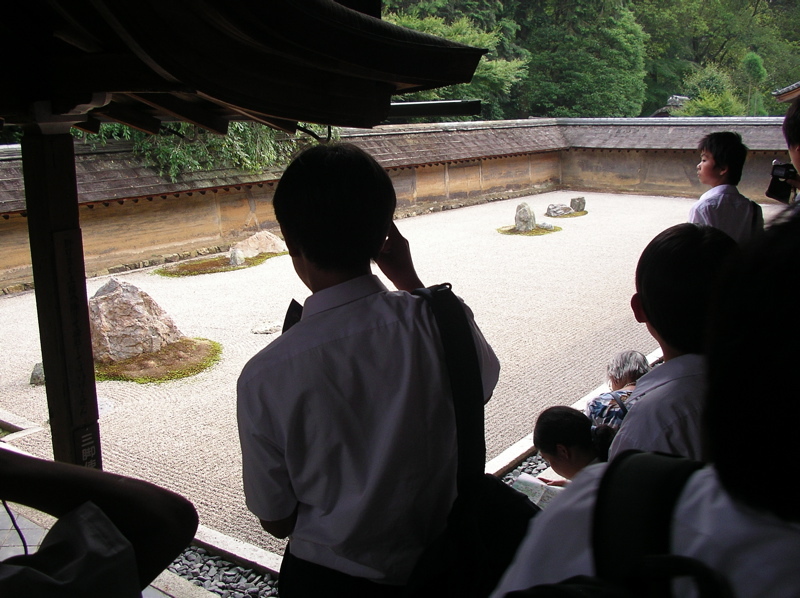 Every hour, on the hour, a cryptically varied number of animatronic raccoons with enormous testicles emerge from a concealed hatch in the large rock on the left, march an intensely mystical route around the other fourteen rocks singing a series of traditional koans to the tune of Traffic's "The Low Spark of High-Heeled Boys", and then dive headfirst back through the hatch shouting "Yuubinkyoku! ", which means "post office".